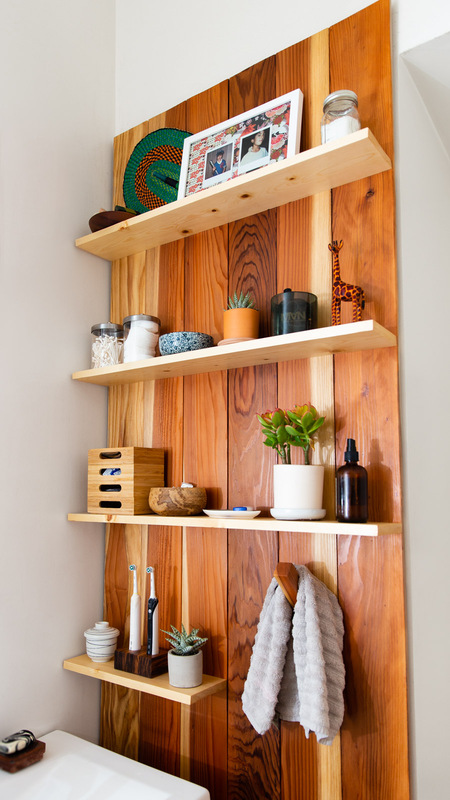 Inspired by the warm wood accents of Terrace House in Karuizawa, Japan, this 8-foot tall wall-mounted shelf brings a cabin atmosphere to the bathroom. 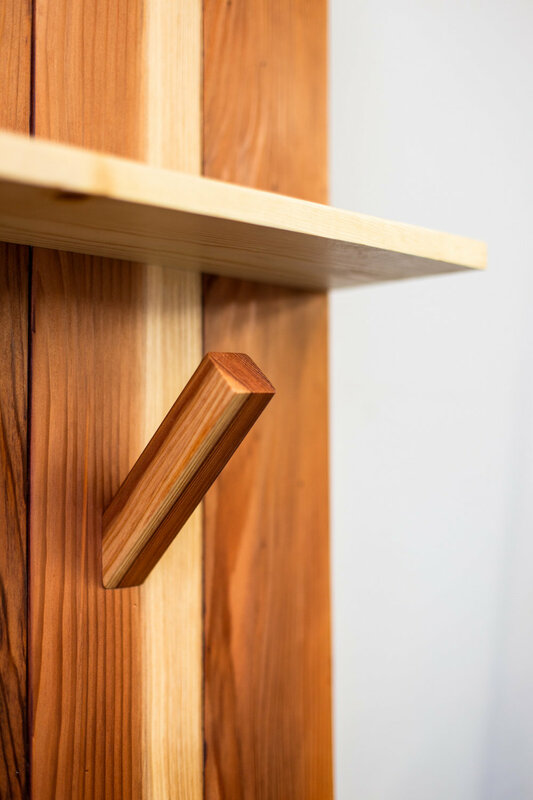 Redwood makes up the base and angled towel peg. 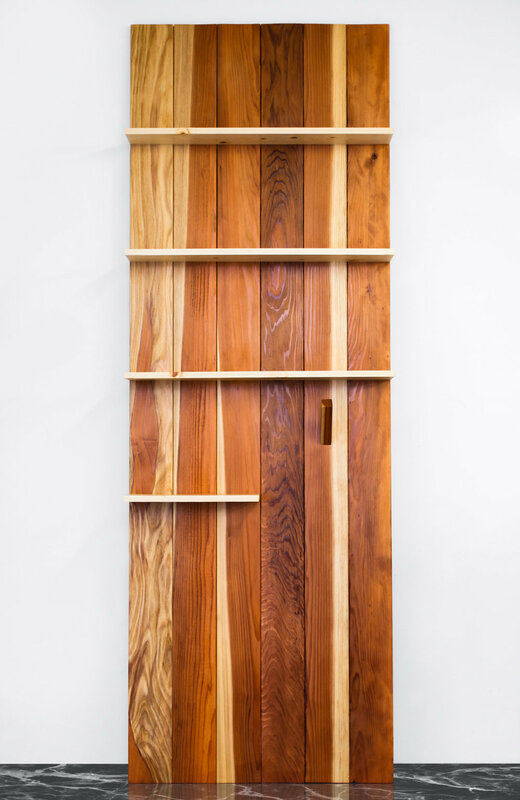 Contrast shelving accentuates the highlights in the redwood. A clear oil-based finish brings out the natural wood tones and protects the surface. A zebrawood block serves as a stable resting space for a pair of electric toothbrushes.